Stress is defined as a person's physiological response to an internal or external stimulus that trigger the hormones that speed up your heart, make you breathe faster, and give you a burst of energy. This is called the fight-or-flight response.When stress happens too often or lasts too long, it can have troubling effects. 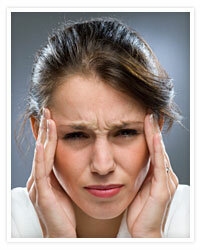 It can be linked to headaches, an upset stomach, back pain, or difficulty sleeping. It can weaken your immune system, making it harder to fight off disease. If you already have a health problem, stress may make it worse. Stress management is effective when a person utilizes strategies to cope with or alter stressful situations. Therapy helps you to be aware of how you perceive stress, helps you understand how your perception influences your reaction to it, and teaches you how to develop and maintain skills to deal with stress. Call our office to schedule an appointment.